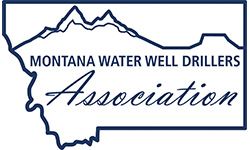 Thank you for reviewing this information on how to Exhibit, Sponsor and Advertise with the Montana Water Well Drillers Association and our 74th Annual Convention and Trade Show. Once again, we will be back in Helena at the Radisson Colonial Hotel and have made a few changes to the manner in which we offer the show. Please review the schedule, as we have not only adjusted the time (to accompany our State Legislators who visit us) but have also added two additional hours on Friday, to not only allow for additional time with the members, but to allow you to tear down at a more leisurely pace. Thank you for your continued support of the groundwater professionals within the State of Montana, and we look forward to working with you and seeing you in Helena in early February.